The Titans have announced their final 53-man roster, moving from the 90-man limit down to the regular-season standard on Saturday. Here’s who Tennessee cut to get down to 53 (via Jim Wyatt of TitansOnline.com). The Dolphins have pared their roster down to 78 players today, moving closer to the first-cut deadline of 75. They waived 10 players (Twitter link) and released cornerback Brandon Harris, who has sufficient service time to avoid waivers. A former Texans second-round pick out of the University of Miami in 2011, Harris has played in 42 games but has yet to start one. His service time runs from 2011-14, with the ex-Hurricane seeing action for three years in Houston and one, 2014, in Tennessee. A torn ACL sustained last summer while employed by the Titans stalled Harris’ career, one that saw him land with the Dolphins late last month. Miami’s Chris Culliver signing pushed Harris further on the bubble, and he’ll now attempt to find a new home. Hazel landed with the Dolphins as a sixth-rounder in 2014 and played in five games last season, starting one. This leaves seven wideouts still on the Fins’ roster, with Griff Whalen and UDFA Rashawn Scott potentially battling for a roster spot. DiSalvo lost the long-snapping battle to longtime Dolphin John Denney, and Koehn couldn’t beat out Andrew Franks for the kicker job. Painter was a Broncos sixth-rounder in 2013 who’s played in three games — all with the Browns in 2014. The Dolphins have locked up their first-round pick, announcing today (via Twitter) that offensive lineman Laremy Tunsil has signed his rookie contract. The team also confirmed that seventh-round quarterback Brandon Doughty has signed his deal, as reported on Thursday. 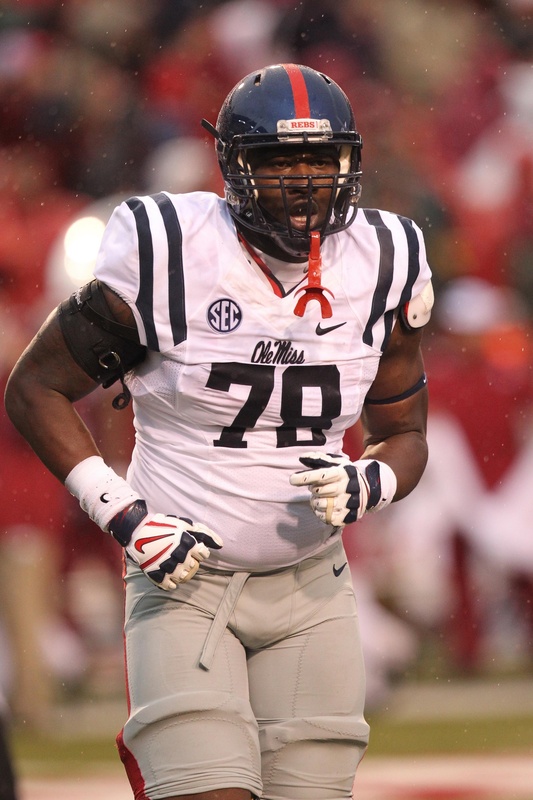 Tunsil, the 13th overall pick last Thursday, had been expected to be the No. 1 overall pick before the Titans sent that selection to the Rams in a pre-draft trade. Tunsil continued to slip on draft night when, less than an hour before the event got underway, a video surfaced of the former Ole Miss tackle smoking marijuana out of a gas-mask bong. While the Dolphins were thrilled to have Tunsil fall to them, there’s still some lingering concern within the organization about how he may have been affected by the pre-draft leak, and whether that leaker may continue to attempt to do damage, according to Ed Werder of ESPN.com (Twitter links). Still, those concerns aren’t significant enough to postpone Miami’s signing of Tunsil, and the rookie lineman’s contract contains no unique clauses to protect the team, says Werder.